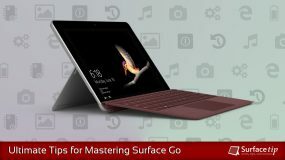 Microsoft Surface Go is the most portable and affordable Surface PC ever made by Microsoft. It has an incredible premium design and high-quality material just like its Surface family. To keep your Surface Go stay protected from damages while you’re on the go, you might need a computer bag. 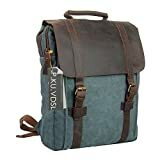 If you need a small bag, as well as a modern design that suits the compact size of Surface Go, we’ve researched and compiled the best list of messenger bags, briefcases, and backpacks in term of best protection and fashion here. Note Here is the exact dimensions of the 10-inch Microsoft Surface Go: 9.6” x 6.9” x 0.33” (245 mm x 175 mm x 8.3 mm). Take note of this info in case you want to look for other bags that aren’t listed in the list below. To start with, the messenger bag from CaseCrown fit really well with your Surface Go and its brothers. It can keep your Surface and its accessories secured with a padded room with the elastic band and velcro closure. Moreover, it also has multiple large and small pockets for storing your documents, phones, pens, chargers, and all your necessary stuff. It has a detachable and adjustable shoulder strap with padding easy to carry through your day. With its secure velcro closure make sure your devices never lost its protection in any accidents. This messenger bag available in two orientable horizontal and vertical with a variety of color options. Premium design with maximum protection. Exterior: Soft chambray with vegan leather trim. Fit Surface Book, Surface Laptop, Surface Pro, and Surface Go. Dedicated pockets for pen, charger, and phone. 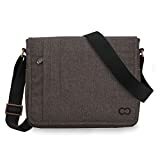 First of the list is the Brenthaven Collins horizontal messenger bag that designed to fit all Surface Go, Pro, Laptop, and Book. It made from high-quality materials, you can feel just how sturdy it is. More so, the laptop compartment has a well-padded material to protect your Surface from scratches or bumping around with the other stuff in the main compartment. The inside of the main compartment, there is two pockets and room to keep your documents and accessories. On top of that, the outside of the bag also has dedicated pockets for keeping your Surface Pen and Surace charger as well. Can be used as a shoulder bag or cross body purse for men and women. Main compartment & inside cell phone and zipper pocket. Designed to fit any tablet or small laptop size, the Aibag messenger bag is a worthy purchase for your Surface Go. It is made of 100% cotton canvas with crazy horse leather decoration to provide a unique look and feels. It features an adjustable shoulder strap for easy carrying. Besides that, you can also use this bag as a regular shoulder bag or a cross body purse. As well the inner top zip closure prevents your belonging from falling out. Moreover, the magnetic button closure provides a quick and convinient way for casual use. Fashion, comfortable, no deformation, washable, durable use, light, style. Made of 4 layers: the middle layer for packing tablet with anti-shock foam and zipper. Dual-use. Comfortable, removable shoulder strap and padded handle for easy portability. 2 x simple big pockets with velcro for your easy and quick opening and closing. 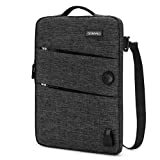 The CoolBell shoulder bag comes with a four layers design with multiple and different rooms for packing your Surface Go and its accessories. It is made of water-resistant, durable materials which enables it to keep your belongings safe even when the weather is adverse. More so, it also comes with a removable shoulder strap and padded handle. It can be easily put into another bag or back pad or carry by itself. It is also available in many colors including Black, Canvas Black, Canvas Dark Grey, Grey, and Teal. 3 layer protections: spill-resistant polyester surface, shockproof sponge, and soft internal polyester cushion. Removable and adjustable padding shoulder strap with anti-slip shoulder pad. 1 x main compartment with slots for computers, tablets, and documents. The next one is a messenger laptop bag from MOSISO. The 11-inch version provides enough room for your Surface Go and its accessories. It has been designed to protect your Surface with a polyester foam padding layer and soft fabric lining for bump and shock absorption. More so, the bag is well organized with many storage pockets with providing easy access to all your stuff. As well, it also comes with a detachable anti-slip shoulder strap and dual sturdy handles for flexible carrying. On top of that, the handles can also be tuck away in the pockets when not needed. It is also available in many colors including Black, Gray, Navy Blue, Purple, Deep Teal, and Wine Red. So many colors and styles. Made of high-quality canvas and crazy horse leather trim. 1 x open exterior pocket concealed by a leather flap. 1 x padded laptop compartment provides comprehensive protection for your laptop. P.KU.VDSL laptop backpack is a type of bag which can be used for anything be in traveling, work or school. 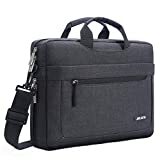 Its 15-inch version can pack your main productivity or gaming laptop and your Surface Go stay safe in the padded laptop compartment. Its built with high-quality canvas and crazy horse leather trim making the bag looks more elegant and fashionable. 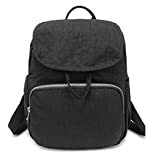 The backpack also comes with an open exterior pocket concealed by a leather flap and two interior pockets enable you to carry all the accessories necessary. Environmental non-toxic, no odor, the color of fresh Ze, indelible color, breathe freely. Lightweight, waterproof, wear-resistant and other characteristics. Application Scope: Outdoor sports hiking, camping, climbing, running, cycling, bike riding, outings, travel vacation, trips to the amusement park. 1 Main zip pocket, 1 front zip pockets, 2 side pocket, 3 inside pocket, 1 back pocket. This mini backpack has been designed specifically for women on occasion of outdoor sports hiking, camping, climbing, running, cycling, bike riding, outings, travel vacation, and any trips. It is made of waterproof, wear resistant, environmental non-toxic materials, no odor, and indelible color which enables it to keep your tablet and its accessories under protection. As well the backpack features adjustable shoulder straps, padded back, and bottom easily for carrying and protecting your valuables. The weight of the bag is evenly distributed on both shoulders to reduce back pain and giving you minimal fatigue. The Microsoft Surface Go is a great portable tablet/laptop that fit any sleeves or bags easily. 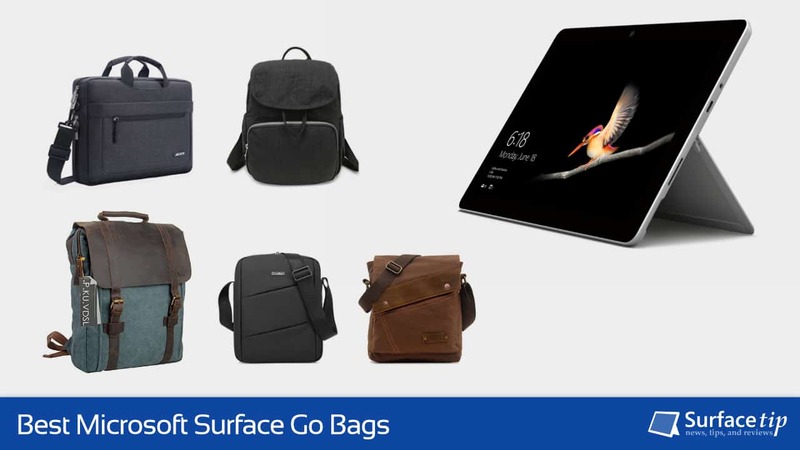 All bags above are the bags that perfectly fit your 10-inch Surface Go that you can find on the market today. Style and quality are the underlying factors in most of them. If you are looking for a lightweight solution while you travel, the messenger bags are good for you. Otherwise, the backpack is also a great option if you wish to carry many things from places to places. 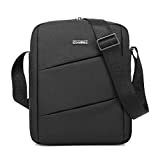 We appreciate hearing your thoughts, questions, and ideas about “The Best Surface Go Bags, Backpacks, and Messenger Bags for 2019”. Please post respectful comments and on topic. We will be replying back to you as soon as possible. 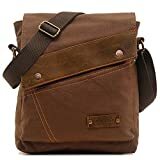 Share your idea about "The Best Surface Go Bags, Backpacks, and Messenger Bags for 2019".